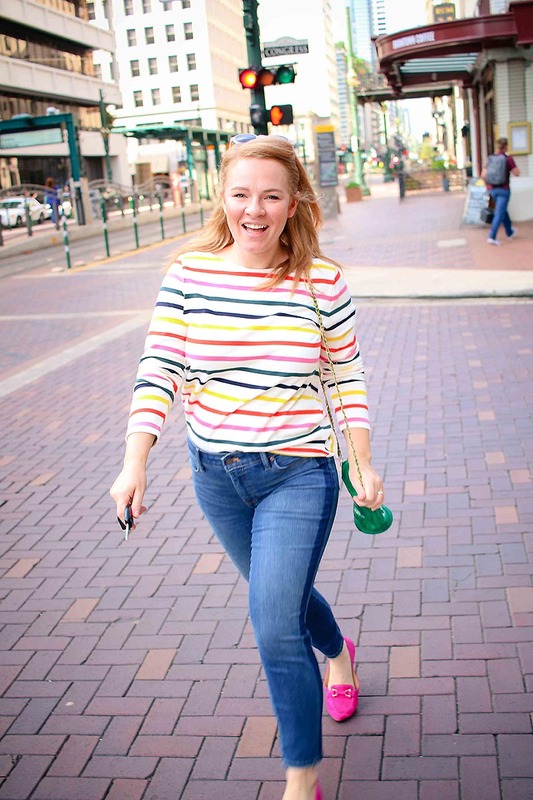 The jeans are a part of the Talbots classic collection & quickly become one of my favorite pair of jeans. They’ve been on repeat over & over again…I’m sure you’ll be seeing them tons more. They’re called the denim slim ankle & have the most flattering shadow stripe on the side. This is a cute outfit! 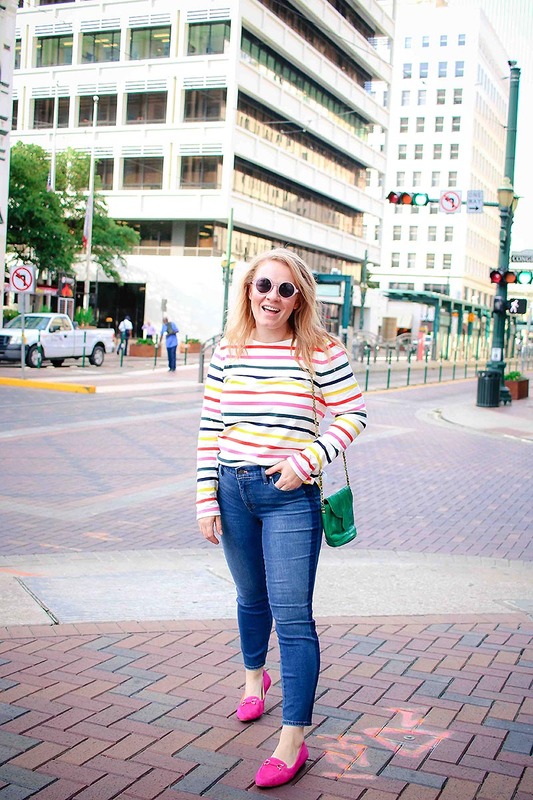 Love the colorful striped sweater and those moccasins look so comfy. I love flats so anything without heels is a plus in my book! You are so cute! 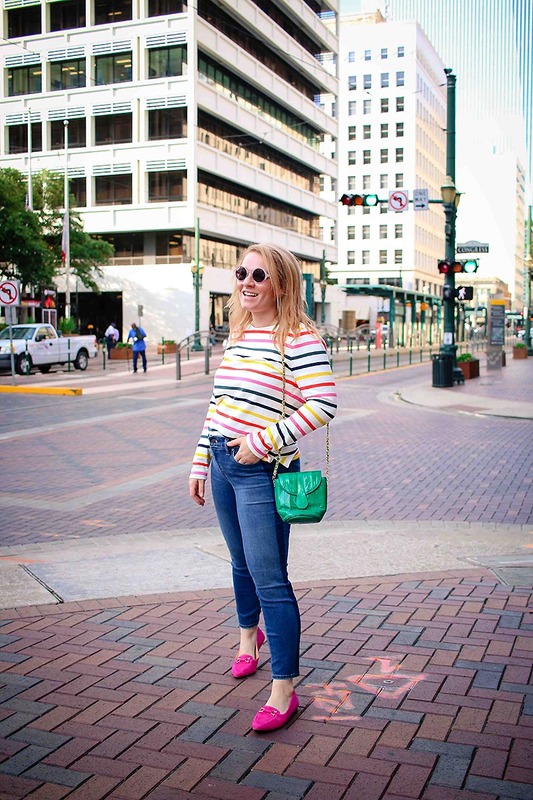 I love the rainbow stripes and those hot pink loafers are the perfect amount of bright color to really make it pop! Love your colorful outfit! I have been stocking up on some great denim for Fall. 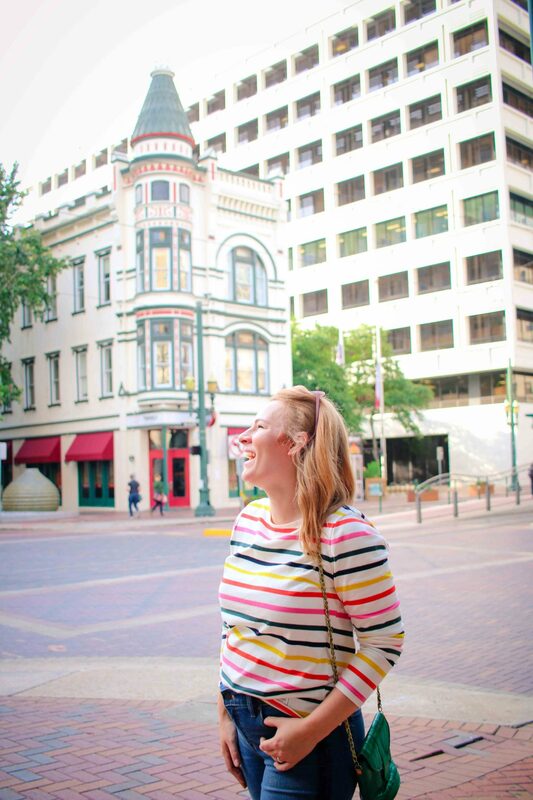 Love the stripes and your pink shoes!